To enjoy music on iPhone 7 or iPhone 7 Plus, you either need to buy songs you like from iTunes Store or transfer songs from computer to iPhone 7 or iPhone 7 Plus. Of course, the latter solution requires you to make sure that the songs you want to transfer are in either AAC or MP3 audio format, since iPhone 7 and iPhone 7 Plus only accept these 2 audio formats. iPhone 7 and iPhone 7 Plus deliver extraordinary music enjoyment experience for users to play songs in AAC and MP3 formats. However, this is far from enough. Sometimes songs are saved in other formats like FLAC, WAV, OGG, etc. Therefore some iPhone 7 users are wondering a solution to fix this. Actually, this happens to all iPhone users. This post would provide you with wonderful free music apps for iPhone 7 and other iPhone models by listing some best free music apps for iPhone 7 and other iPhones. Play music on iPhone 7, iPhone 7 Plus and other iPhone models without being restricted by the song format. Most free iPhone music apps could recognize and accept nearly all audio formats. This has been a key reason why you need a free music player for iPhone 7 and other iPhone models. Offer a better management interface to help you determine which song you would like to listen to, while iTunes displays songs in different albums, which makes it hard to find target song for enjoying. Have no limitation in copyright policies, letting you enjoy any song you’ve got on your computer. Of course, there are more reasons that one needs a free iPhone music app for iPhone 7 and other iPhone variants like personal preference, ease of use, etc. The quesion may now come out that what is the best free music player for iPhone. The below content may be what you want. To let you easily get a free music player for iPhone 7 or other iPhone devices you’ve got, we’ve collected a list of top 5 best free music player apps for iPhone. This best free music app for iPhone list could meet all your needs in music enjoyment on iPhone 7 and other iPhones. 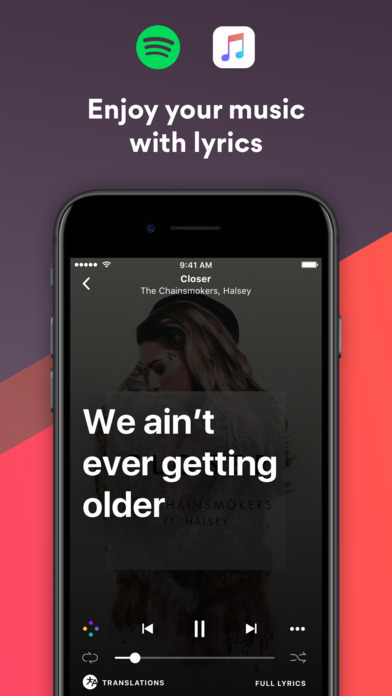 Songbucket is a fancy music player for iPhone 7 specialized in making your own track lists. You can easily put your favorite songs in and out and change the whole list as your mood. This iPhone 7 music player offers intuitive gestures for music searching, pinch-zoom in and out of album and artist lists, forward-backward on player, and so on. It could be your default music player for iPhone 7 because it is very easy to use as well, totally live up your music library and enjoy your favorite songs in the best way! 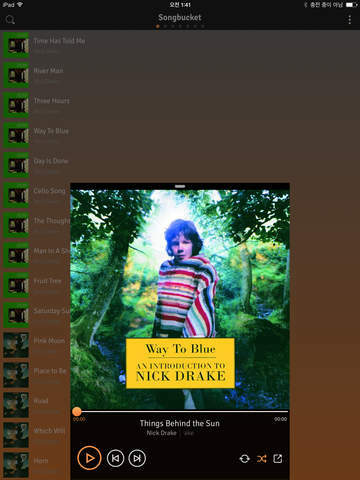 Jukebox is an offline music player for audio files in your Dropbox. Save GBs of data each month by downloading your favorite songs from Dropbox into Jukebox. Browse your music by song, artist, album, etc. and listen to music in a beautiful, fully-featured player. Musixmatch is the world’s largest lyrics catalog, giving you synchronized song lyrics with multilingual translations for all your music. The free music app for iPhone 7 and other iPhone models allows people to sync lyrics up with their songs so they line up really well when you listen to it. There was a song I was listening to and the lyrics were synced terribly so I decided that I would sync them so they would not be terrible. I did this and then when I listened to the song again the lyrics were synced well, the way I did it. If I tried to listen again the lyrics went back to the way they were synced before as if I never synced them. I did not even receive any points as if I had never even synced. I tried it again with still no such luck. Why would they give me this feature if they won’t let me use it. Or even worse, pretend they will let me use it but then destroy my work. FLAC Player + is also a badass music player for iPhone 7, simple but efficient and with useful interface. 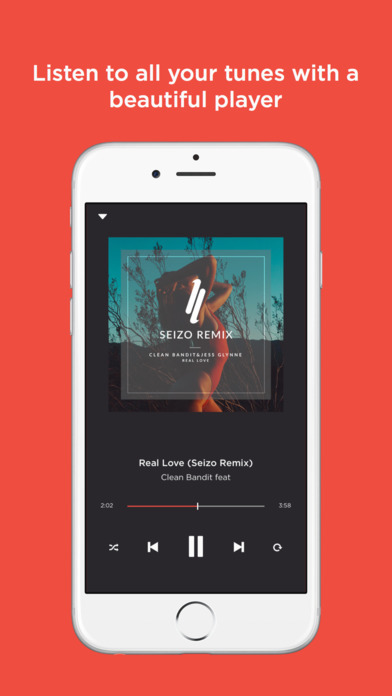 This iPhone music player supports a large array of music formats such FLAC, MP3, AAC, WMA, RM… Plus this free FLAC music player for iPhone is quite professional to support 24-bit and 32-bit audio output, very easy to manage your songs by playlist, album, genre, composer. – Support 24-bit, 32-bit audio output. – Manage your songs by playlist, album, artist, composer, genre. Stringer is a new way to listen to the music you’ve collected throughout your life. It automatically randomizes your entire music library (tracks on your device or using iTunes Match) and presents a single, unified thread of all the songs. 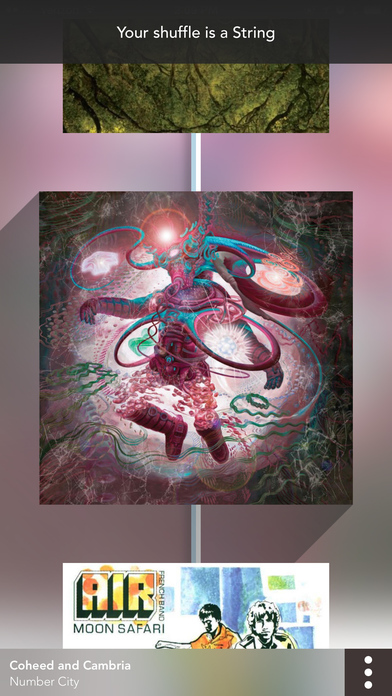 You can pull the string to the right or left and add tracks from the current album or related music, and even go back in time through your string to add songs you may have skipped or want to hear again. If you are a diehard Apple fans and want to use the native iPhone 7 music player to enjoy music, this part would be helpful to you. It will show you how to convert music for iPhone 7 and other iPhone models. But you should keep it in mind that through conversion the song quality might get loss. We would like to introduce you 2 ways to convert music for iPhone 7 and other iPhones. Besides using iTunes to convert songs for iPhone 7 and other iPhone models, you could also use Leawo iPhone Music Converter to convert songs to iPhone compatible song formats like AAC or MP3. This iPhone music converter supports all iPhone models including iPhone 7, iPhone 7 Plus, iPhone 6, iPhone 6S, etc. 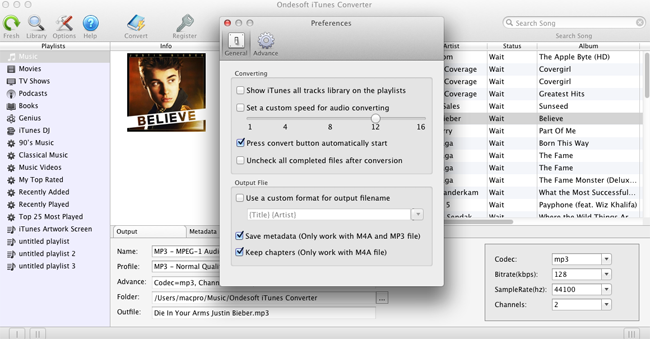 Open the "Convert" module, and then directly drag and drop source song files into this iPhone music converter. It could accept nearly all audio formats like FLAC, AAC, WAV, MP3, OGG, etc. Click the drop-down button next to the "Add Photo" button and then select "Change" option to enter the "Profile" panel, where you could select either AAC or MP3 from the "Format > Common Audio" group as output format. After setting output audio format, return to the main interface. Click the big green "Convert" button and then set output directory in the "Save to" box on the popup side-panel. Finally, click the "Convert" button on the side-panel to start converting songs for iPhone 7 and other iPhone models.